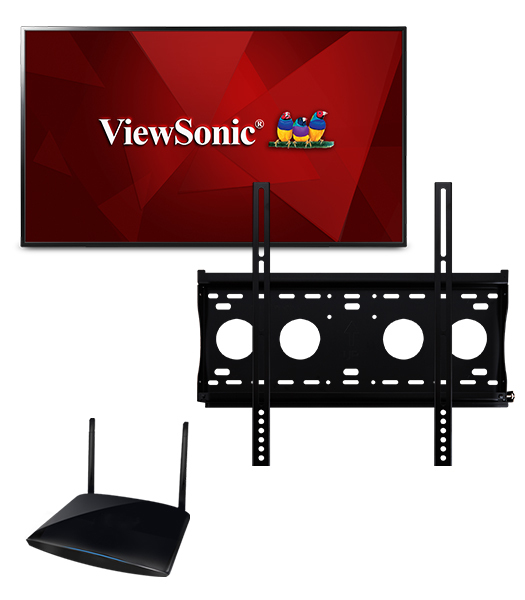 One easy price includes a ViewSonic® commercial display and wall mount. Our commercial displays are easy to install with the included mount. An integrated media player enables photo, music and video playback,while plenty of internal storage provides ample capacity for files andmultimedia content.